Green beans, tomato and sweet onions, sautéed in butter, then seasoned with fresh herbs. 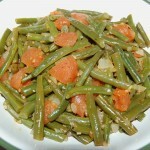 Trim the ends off and cut green beans into thirds, cutting on the diagonal; set aside. Heat olive oil and butter in a large skillet over medium high heat. Sauté onion until tender, add garlic and cook another minute. Add tomatoes, with their juices, and the brown sugar and cook until tomatoes are softened. Add the green beans and water, bring to a boil, reduce heat to medium, cover and cook, about 10 to 12 minutes or until beans reach desired tenderness, stirring occasionally. Season with Italian seasoning, Cajun seasoning, salt and pepper; taste and adjust. Serve immediately. Cook's Notes: If you've got fresh herbs in your garden too, by all means substitute those for the Italian seasoning. 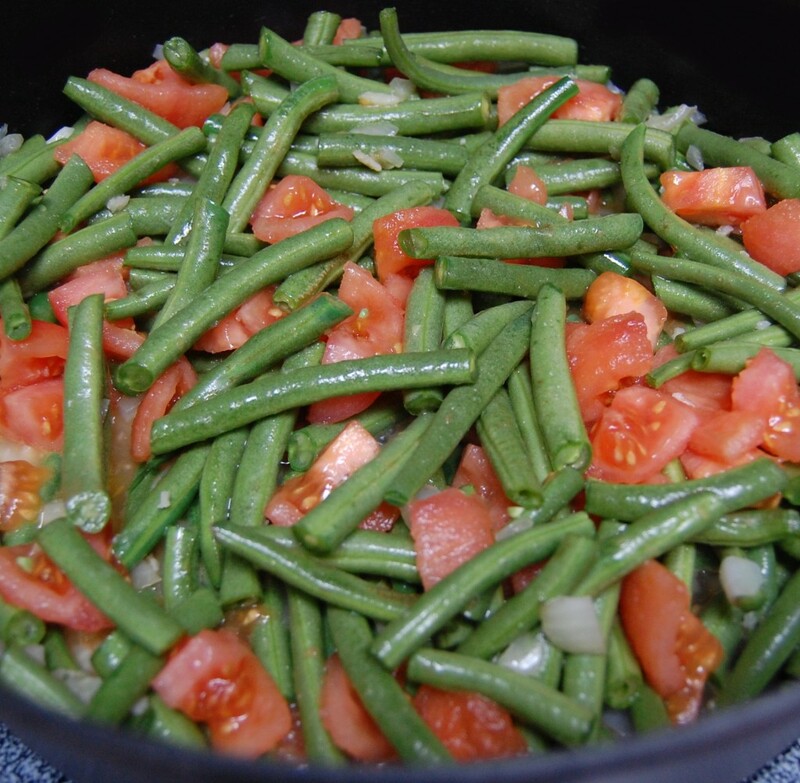 When fresh tomatoes and green beans are not in season, substitute frozen green beans and canned tomatoes.